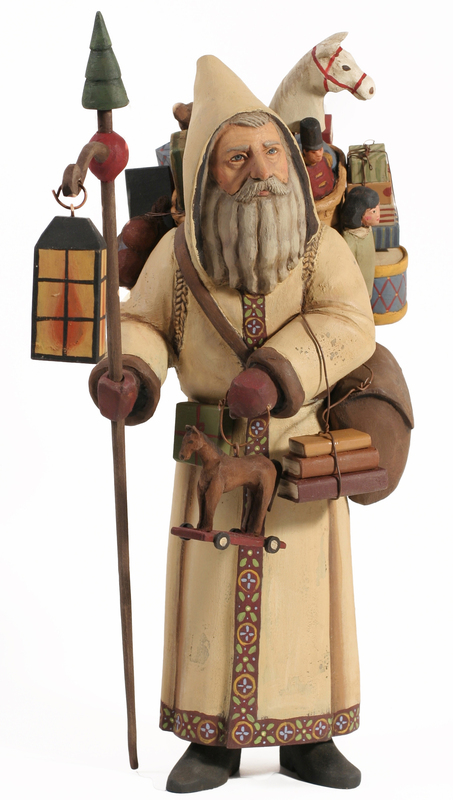 We represent here some of America's leading hand carved santa artists in the country. As many of our carvers now do fabulous Halloween pieces, we are including them at the end of their page. They can also be found in our "Seasons" section, under "Fall"; and "Nativity" section, under "American".